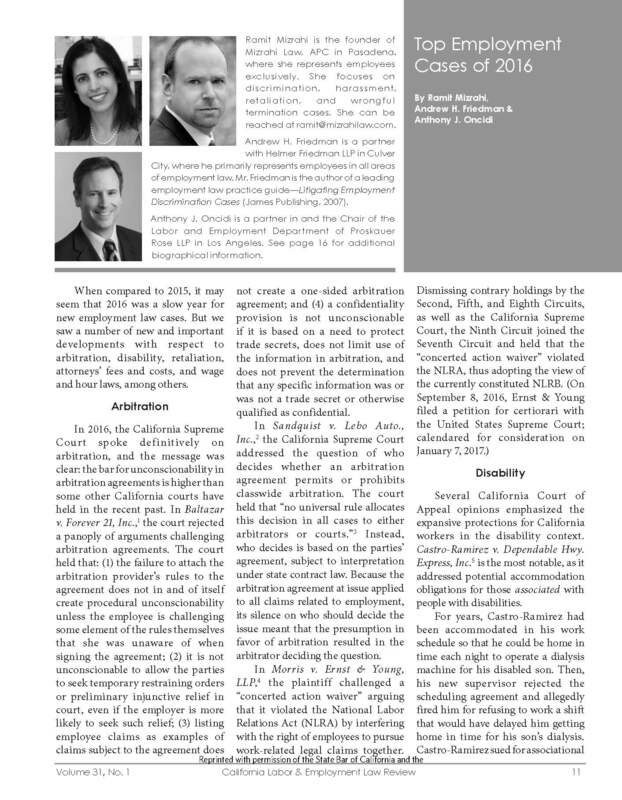 This month’s issue of the State Bar of California’s Labor & Employment Law Review features an article authored by Ramit Mizrahi, Andrew Friedman, and Tony Oncidi. The article—”The Top Employment Cases of 2016″— highlights the most important California and Supreme Court employment cases from last year. Click on the below image to read the article in full.